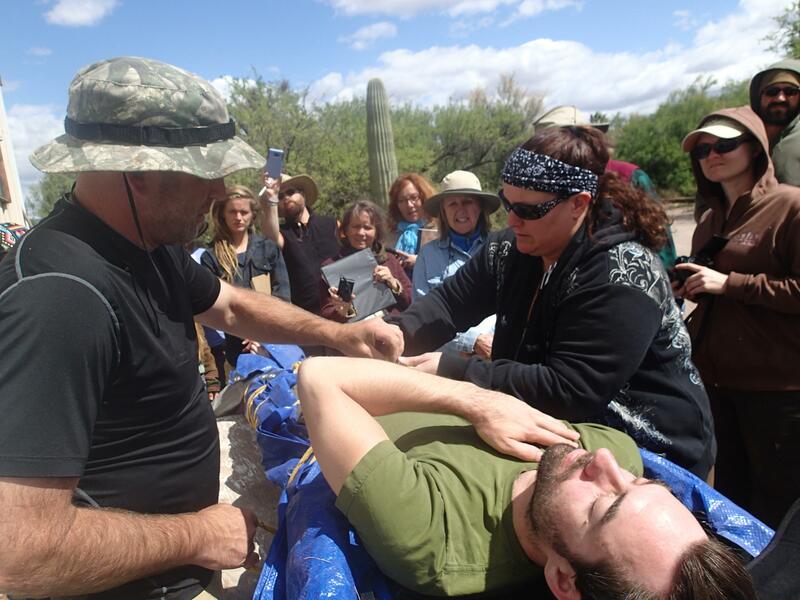 The Austere Medicine program is an introduction to the most vital aspects of medicine in a post-disaster or austere environment and integrates western emergency medicine, sports medicine, wilderness first aid and botanical (herbal) medicine. This is a five-day intensive course held at our San Antonio campus, preceded by a required 12-week online course and 3-day WFA. This austere medicine intensive course is taught by Dr. Steve Pehrson, M.D., and Sam Coffman. The on-campus portion of the Austere Medicine I program runs for five information- and action-packed days. This intensive course starts by putting hands-on practice at the forefront wherever possible. Taking the online, didactic information to the next level and introducing physical techniques is the primary goal. Certifications: Austere Medicine: Trauma. *must also complete and pass the online course and 3-day WFA certification to complete this course. Dates: October 21 – 25th, 2019. Completion of the online 12-week Austere Medicine: Trauma online course with a passing grade.